No one expected the Seahawks to stop the league’s No. 1 offense, so it should have been no surprise that they didn’t. In the 33-31 shootout loss, the Hawks did not get enough pressure on Jared Goff, and the secondary did a poor job of covering the Rams’ receivers, even after top targets Brandin Cooks and Cooper Kupp left with concussions. Robert Woods killed them with 145 total yards, Todd Gurley added 113 and the Rams put up 10 plays of at least 17 yards. 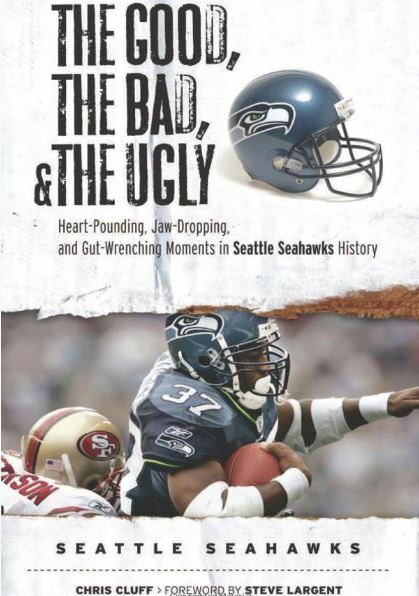 Despite the defense’s failures, though, the Seattle offense kept pace with its own big plays — 10 of at least 15 yards. The botched final drive aside, the Hawks finally put together the complete offensive game they needed. They ran the ball well for the third straight game — Chris Carson going over 100 yards again at 6.1 yards per rush and Davis averaging 5.7. They mixed in some play action and deep passes, hitting Tyler Lockett for a 39-yard TD and a 44-yard gain and David Moore for a 30-yard TD (he also scored on a short scramble pass). Seattle also had a good day on third downs (7 of 12) after ranking second-worst in the league coming in. The Seahawks’ running game has found its stride and almost led the club to a big upset — 31 points would have been enough against most teams. After running for 138 yards in the first two games, the Hawks switched to J.R. Sweezy and D.J. Fluker at guards in Week 3 and have plowed ahead for 474 yards the past three games, including 190 vs. the Rams. The Hawks’ offense still can get a lot better, of course. Doug Baldwin was not really involved in this game; once he gets up to speed, the passing game should improve. The Hawks also need to mix in more misdirection (see the Rams’ offense) and route concepts that better fit their personnel. They also have not really used Wilson in the read option; against the Rams, he did not run the ball for the first time in his career. On defense, the Seahawks still don’t have a consistent pass rush outside Frank Clark, who had a great game after losing 12 pounds due to food poisoning last week. And the young secondary needs to take some big lessons from this failure — it should improve as first-time starters Tedric Thompson and Tre Flowers jell with second-year corner Shaquill Griffin and veteran Bradley McDougald. But the future doesn’t look too bad. 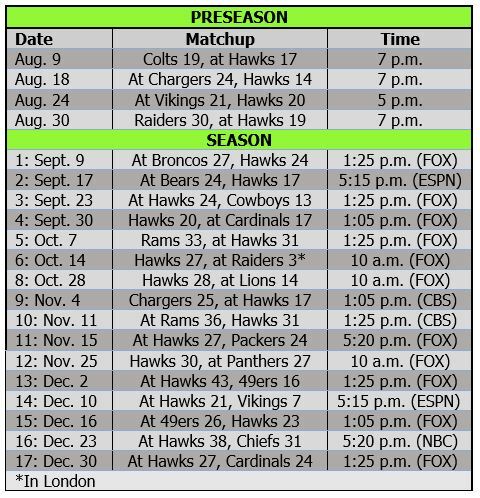 The Hawks should get to .500 with a winnable game against the Raiders in London before their Week 7 bye. Then they finally will see the season debuts of long-recovering K.J. Wright and Ed Dickson as they go to Detroit in Week 8. Those two veterans should help both sides of the ball immensely. The Hawks then will host the Chargers and visit the Rams for a rematch that should say a lot about whether the Hawks are going to be good enough to make a strong playoff push. They need to emerge from that four-game stretch at 5-4, which would set them up well as they play five of the final seven at home. Thompson had an interesting first game in place of Earl Thomas. He was key to the first goal-line stand, first upending Gurley just short of the end zone and then pushing Gurley back on the next play. He also picked off a pass to end the half and forced the final fourth-down conversion by the Rams to seal the game. Thompson and his fellow young secondary mates simply did not work together well enough to slow Goff’s passing — even after the top two receivers left. Justin Coleman got lost in coverage several times, notably on Kupp’s 6-yard touchdown catch in the second quarter. And Griffin committed a bad pass-interference penalty on fourth down, enabling the Rams to score their last TD. Special teams had a rough day. Shaquem Griffin’s mistake as the upback led to a blocked punt, Sebastian Janikowski kept coming up short on kickoffs and was replaced by drop-kicking Michael Dickson, who averaged just 34.5 yards on punts (including a 24-yarder at the end of the game). 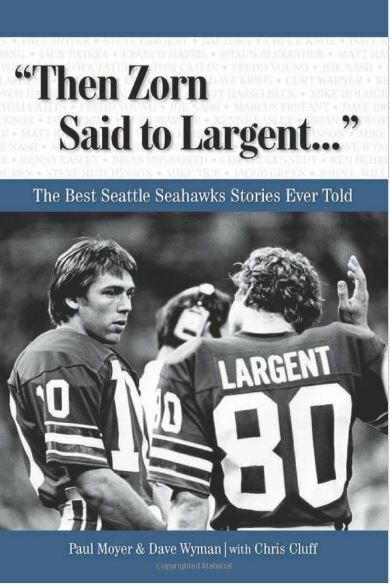 The Seahawks had been 7-0 when Wilson threw three or more TD passes and the defense picked off two passes. This year, they are 0-2 in those games (vs. Denver and L.A.). The Seahawks are now 2-5 in shootouts (both teams over 30) with Wilson as QB. This was the first loss in the Carroll era when the Hawks ran for at least 150 yards, scored at least 30 and were plus-2 on turnovers. Since 2001, NFL teams have lost just six times in 158 games when rushing for at least 190 yards, committing no turnovers and going plus-2 or better in turnover margin. Two of those losses belong to the Seahawks. This is just the fourth game in which Carroll’s Seahawks have given up 30 first downs. Not surprisingly, they’re 1-3 in those games. Some fans need timeouts. Way too much attention was paid to the Seahawks’ timeout choices at the end of the game, with fans second-guessing Carroll’s called break after the Rams decided to go for it on fourth down. Pointless complaining about something that had no bearing on the outcome. Once the offense shot itself in the foot with two penalties, creating a third-and-23 on that final drive, that really was the end. The defense had not stopped the Rams since the first drive, so why would anyone think they would at the end? No pass rush was the difference, and we knew that was an issue coming into the season. On the end, they hung tough against a better team and just couldn’t quite pull off the upset. As for the timeout, it was inconsequential. Anyway, the Rams have been winning games by an average of 3 touchdowns. PC got an inexperienced club within 2 points of them. He must have done *something* right. Baldwin: A 30-yr old receiver coming off a knee injury is a source of concern, especially one who depends on quick moves off the line to get separation. 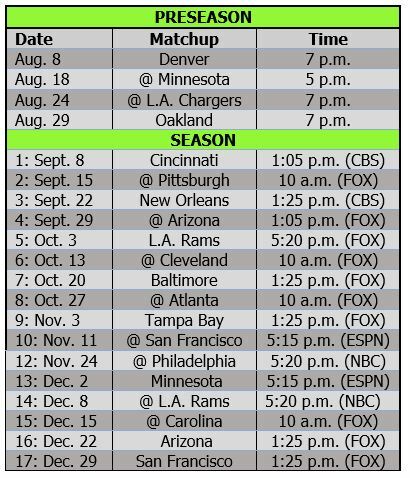 Upcoming schedule: They could lose three of those games. Detroit may be unpredictable, but they have two impressive wins. Philip Rivers has the kind of game that could be an education for an improving young secondary, especially when he had the time he’ll probably have. It’s hard to see the Hawks winning in LA. They could come out of this stretch 3-6. Honestly, though, this a 2-year project, and the necessity for this team is to improve and play well.